Though your Chromebook holds lots of powerful shortcuts The 9 Most Powerful Chromebook Shortcuts for You to Learn The 9 Most Powerful Chromebook Shortcuts for You to Learn For those of you who are just starting to love your Chromebook, it's time to learn how to get super-productive with your Google OS device. Read More , don’t forget about the Shelf. This awesome feature is an equivalent to the Windows taskbar and includes the functionality to pin your most-used items for easy access. Thankfully, you aren’t limited to just Chrome apps on your Shelf. To add a shortcut to any website, browse to it and click the three-bar menu in the top-right of Chrome. Choose More Tools > Add to Shelf and type a name for the site shortcut. The Open as Window box will launch the shortcut in its own browser window when enabled — this makes it feel more like a dedicated program than a Chrome shortcut, so you might want to enable it. If you disable it, clicking the shortcut will just open the site in Chrome. Now you can have quick access to any site, even if it doesn’t have a dedicated Chrome app. Potential candidates for this are Spotify’s Web Player (since there’s no dedicated version of Spotify for Chrome OS 7 Reasons to Start Using the Spotify Web Player Today 7 Reasons to Start Using the Spotify Web Player Today Spotify is about to shake things up by making the desktop and web app experiences more similar. So, it's about time many of us asked ourselves, Why not just use the web app instead? Read More ), Pandora, Slack, or even Reddit. Press ALT + 1 to launch the first item in your shelf. ALT + 2 launches the second item. If you change your mind later, just right-click the Shelf icon and choose Unpin to remove it, or toggle the Open as Window option to whichever way you like. 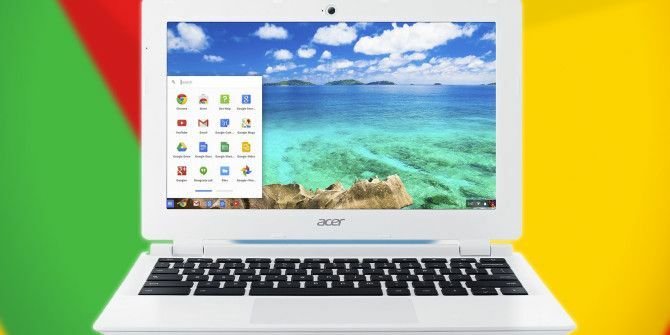 Don’t forget there are other ways to speed up your Chromebook experience How To Speed Up Your Chromebook Experience How To Speed Up Your Chromebook Experience Do you want to improve your Chromebook experience with easy tweaks and shortcuts? There are lots of time-savers and little known tricks to improve and simplify your day-to-day usage of your device. Read More , too! What sites will you pin to your Shelf? Let us know how you plan to use this feature in a comment! Will be making the most this tip!